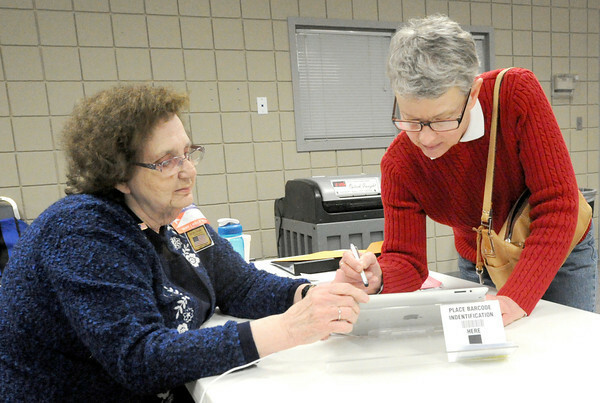 Supervising election judge Quita Henson, left, helps Andrea Logan sign in to vote on Tuesday at First United Methodist Church. Logan said both the school board race and the Joplin City Council race prompted her to come out and vote. Henson said there was a significant hike in voter numbers this election at the church, which houses the 12th and 14th precincts.